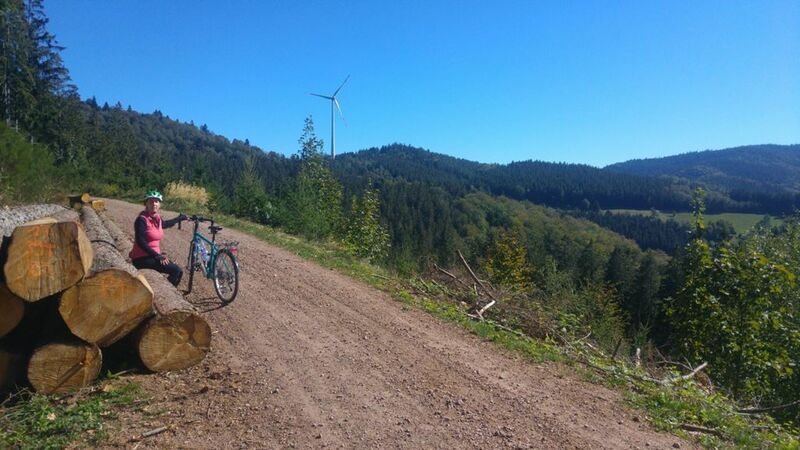 Caroline and I have very much enjoyed our previous cycle excursions into the Black Forest - none of which I have blogged about here, to my shame - and she was keen to do one more before we relocate for my new job. Late September is an ideal time of year for it, with generally nice weather (chilly starts in the mornings, mind!) and almost no tourist traffic on the roads. The traffic is the reason why we haven't ever dared to go there in July or August. 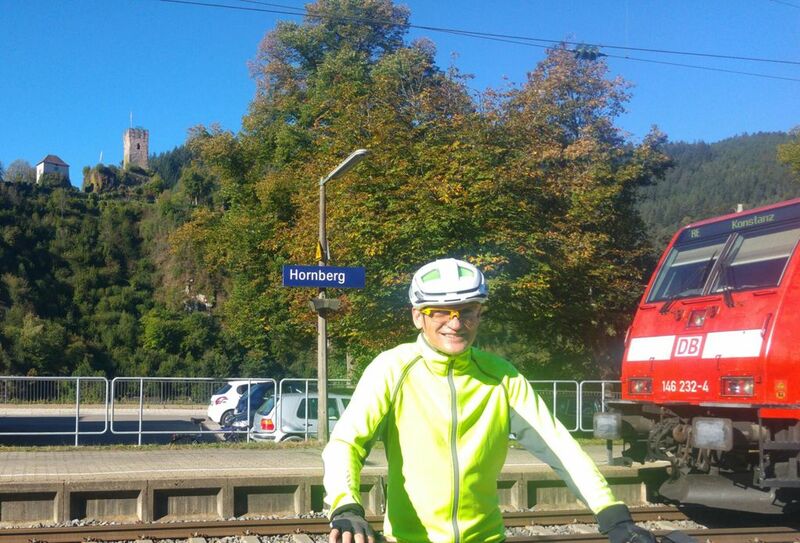 To explore new ground further north than our previous trips, we started off by taking our bikes on two trains - first from Zurich to Konstanz, then from Konstanz to marvellously-named Hornberg ("horn mountain"), a pretty little town in a deep valley overlooked by a castle. The railway line is very dramatic, with big loops and spiral tunnels almost rivalling the St Gotthard railway line (although the mountains are much lower and less rugged than St Gotthard).The weather had put on a great effort for us, with blue skies, gentle breezes, and bright sunshine making the woodlands sparkle with their first tints of autumn colour. After lunch, the next 20km or so of our route took us along a gravel track which mostly felt as though it was following the contour along the side of the high ground, although in fact it was still trending uphill. 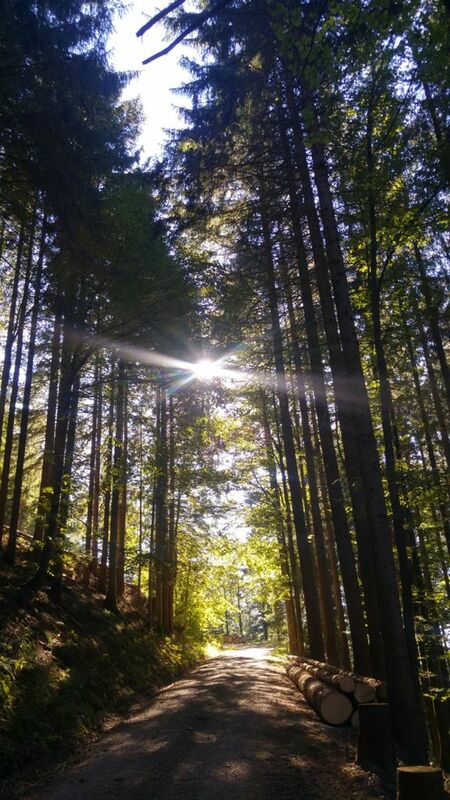 When not traversing through the forests, there were lovely panoramic views into the sun-drenched valley. The track itself was totally rideable and very peaceful - we encountered just a few hikers, and a couple of groups of mountain bikers coming in the opposite direction. Our "destination" for the day was one of the sources of the Danube. 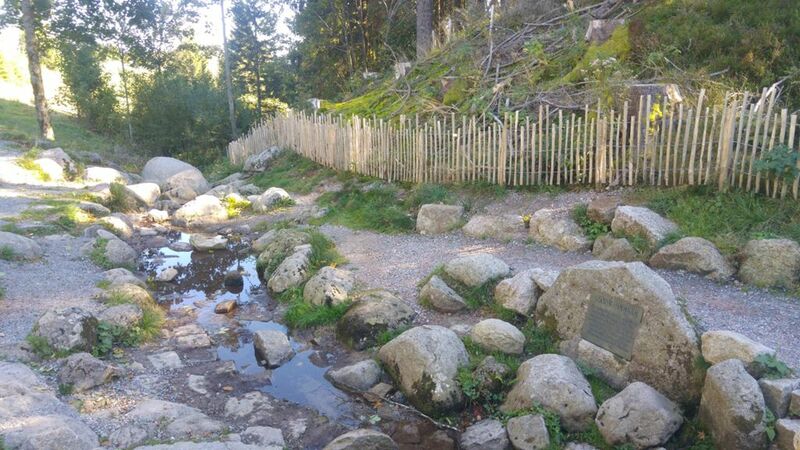 There are three rival claims to this status: the sources of the two main tributaries, the rivers Brigach and Breg, along with Donaueschingen, the confluence of the two. 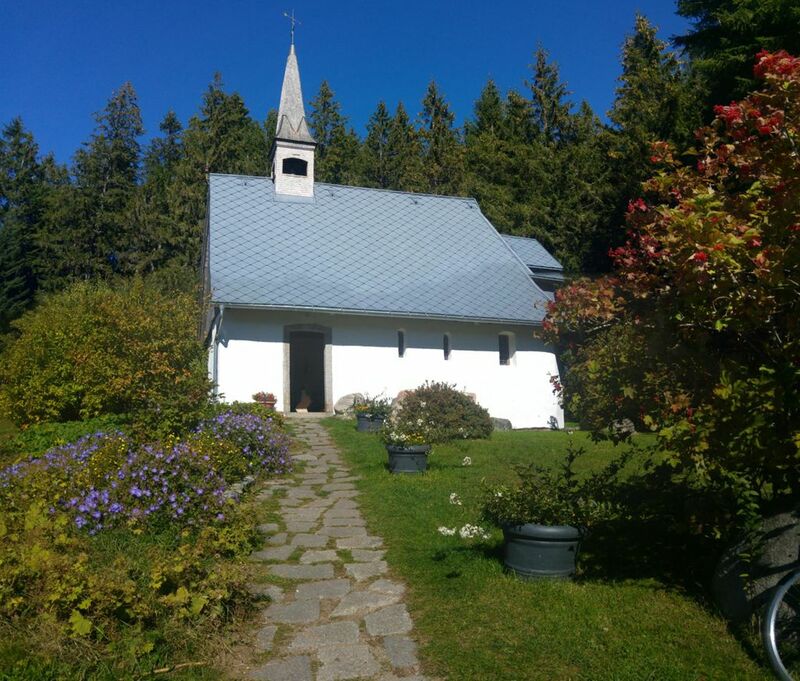 Our route took us via the source of the Breg, at Martinskapelle. 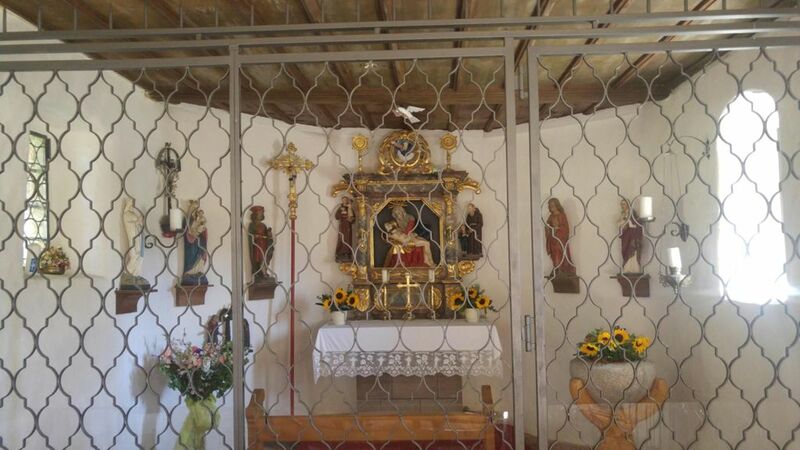 Besides the soi-disant "Danube Source" itself, there is just a pub/restaurant (which served me the worst coffee I've had in a long time), a farmstead and the eponymous St Martin's Chapel: many of the farmsteads we passed had their own tiny chapels, in various states of repair. This one was in particularly fine fettle, compared to many of the others. After leaving Martinsquelle, it was literally downhill all the way - initially on quite a steep and tricky gravel track, later on tarmac - down to the valley and the village of Simonswald, where we looked for overnight accommodation and were soon enticed by a sign to a restaurant-with-rooms called Hugenhof (even though it involved a bit of a climb back up the side of the valley). Comfortable, clean, quiet and friendly - but they couldn't offer us dinner, as it turned out that the restaurant is a fine-dining establishment which is booked solid about a month ahead! 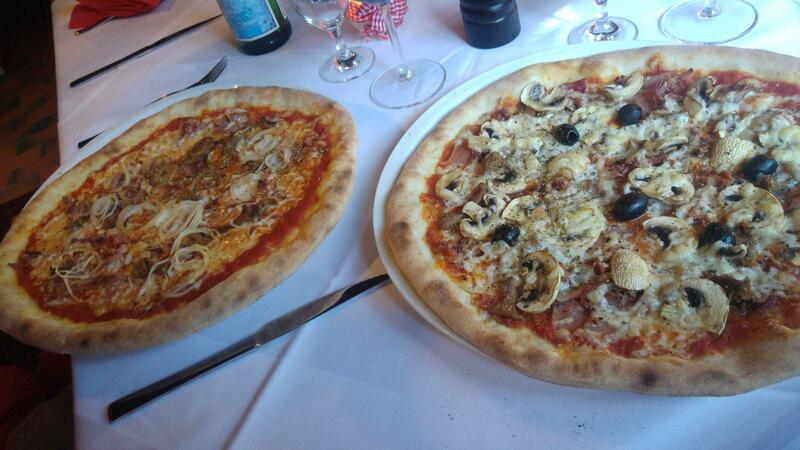 We had to walk back down the hill to find a pizzeria in the village - and then walk back up again in the dark afterwards!